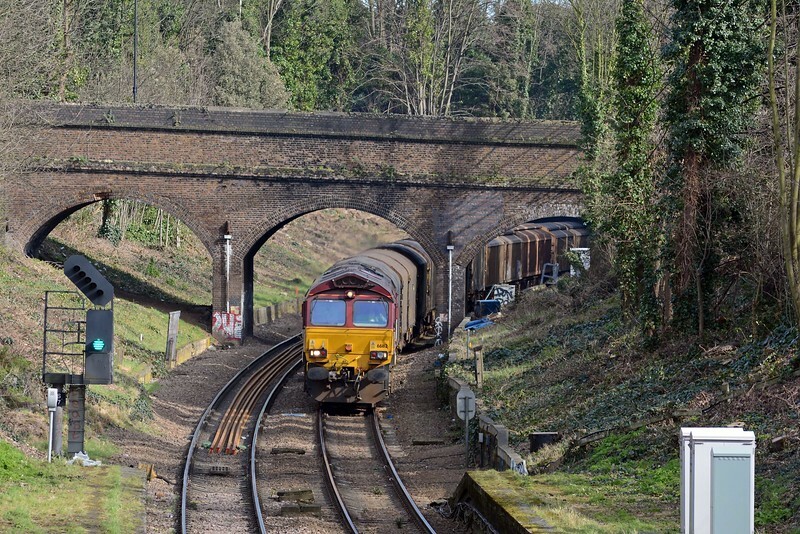 After many years of will-they-won't-they, June 4th marks the start of a series of blockades of the Gospel Oak to Barking line - the Goblin - when the eastern half of the line, the Tottenham and Forest Gate, closes for nine months to prepare for electrification. The western half, the Tottenham and Hampstead Junction, from South Tottenham to Gospel Oak, remains open until September when it too will close. The complete line is due to reopen in Feb/March 2017. For those of you who don't know the Goblin is an amalgam of two railways. The older of the two is the Tottenham and Hampstead Junction, originally promoted by the Great Eastern as access to a West End terminus, which was rejected by Parliament. It opened in 1868 with the GE running a round the houses passenger service from Highgate Road (which is just short of Gospel Oak) to Fenchurch Street! Not surprisingly that proved an expensive flop and the GE sought to abandon the entire line. Instead it was acquired by the Midland Railway in 1870 and services diverted to Kentish Town, Gospel Oak being reached eventually in 1888. Under this arrangement the GE retained running powers, later becoming the co-owner with the MIdland. The other half, the Tottenham and Forest Gate was opened in 1894, one of the last mainline railways built in London. It was a Midland / London Tilbury & Southend joint venture, although its most prominent promoter was the property developer Sir Courtenay Warner, a Liberal politician and the first Mayor of the Municipal Borough of Walthamstow. Warner Estates were a significant landlord in and around Walthamstow until the late 1990s, today their characteristic houses and maisonettes are prominent features of the Walthamstow urban landscape. Back in the 1890s Walthamstow, Leyton and Leytonstone were already built up, mainly terraces of mid-Victorian housing for the armies of city clerks who travelled to work on GER trains from Chingford, Epping and Ilford into Liverpool Street. Building the Tottenham and Forest Gate necessitated a significant amount of demolition which didn't make the railway, or its promotors, very popular with the locals. You can still see streets which abruptly terminate on either side of the line, especially between Blackhorse Road and Walthamstow Queens Road. I've been taking pictures along the Goblin for almost 25 years, many of my favourite overhead shots will be changed forever by the erection of catenary. But it is progress and underlines the route's importance. A far cry from the cinderella years in the 1970s and 80s. A heavy ThO 6V47 Tilbury to Trostre approaching Crouch Hill behind 66162. Ongoing lineside clearance in preparation for electrification has improved the views somewhat, at least until the wires go up.